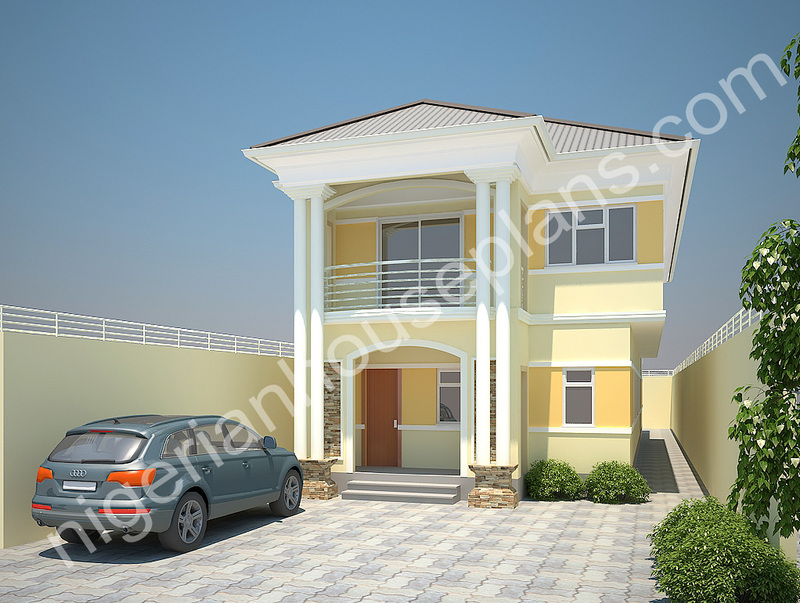 4 bedroom, building, design, duplex, half plot, home, Nigeria, plan. Bookmark. Dear Mr Felix, Please the plans are available after purchase. Thanks. You can get the plan from this link. The layout is shown and you can also make a purchase therein. Yes you can get the plan from this link. Kindly visit this link (store section) for information regarding the plan. You can also purchase the plan from there.Thanks. Kindly help with the plans to this building to enable take a decision. Many thanks. You can also purchase the plan from there…Thanks. Layout sent to your inbox.Working plans are for sale.Thanks. The plan costs NGN 100,000. Thank You. Also inbox me with the cost of the full working plans for construction. I intend putting this structure on a land with an existing 2-bedroom flat under construction on a half plot of land. The full working plans for construction are for sale.Kindly let us know if you want to purchase. Many thanks. I was searching for a 6 bedroom duplex design and saw your website. The building will cost roughly 15m. Yes it can be modified to 5 bedrooms. Plan layouts sent via mail. The full working plans for construction comes at a cost. The rough estimate for the building is 15 million Naira. Good day Sheldon. The full working plans will cost an amount. The plan layout will be sent. Mail is as per previous response. It will cost roughly =N=15m to build. Cost is same as the previous response of =N=15m. Can i get an estimate for this plan on a half plot land and are you the ones who would build this house or there are other companies responsible? Can you please allocate me the estimates how much can this cost including everything and the plan itself. The rough estimate as requested is roughly 15.5 million naira. Mail sent to your inbox Mr.Seun. Sorry this plan would not go on that size of plot (The building is roughly 86×20 ft). However, I can give you something workable for that size of land. Good day Mr.Eric… Mail sent. Thanks. Good day Mr. Taiye, an email will be sent to you. Regards. pls kindly send me the plan and sketch (details ) of this building. Can you please send me the details of this house loveralph79@yahoo.com. Nice plan, pls kindly send me the details of this house plan.Thanks. Nice house design. I will be appreciative if you can send the plan and details of this house to bashbak89@gmail.com. Good day Bash… I will send to your email tonight. Regards. Hi Mr Chris, Sorry for the late response I guess we have communicated via email… Many thanks. Hi bright,please drop you email address and it will be sent to you. Cute and beautiful. Pls can you send me the details of this house, so I can go through. If I like it, will definitely pay for an approved design. Hi Nana… layout sent, however if you want approval drawings, you would pay a fee for that and will consist of stamped and signed Architecture and structural drawings. Thanks. Looking forward to doing business with you. @Kojo, can you please drop your email address so the plan can be sent to you. Regards. @ adeyemi Good day sir. An email containing additional information regarding the building will be sent to you shortly.